The Abaco Self-Locking Dollies are heavy duty, all terrain dollies. The rubber is vulcanized to the bottom and sides of the dolly to avoid chipping the edges of finished work pieces. 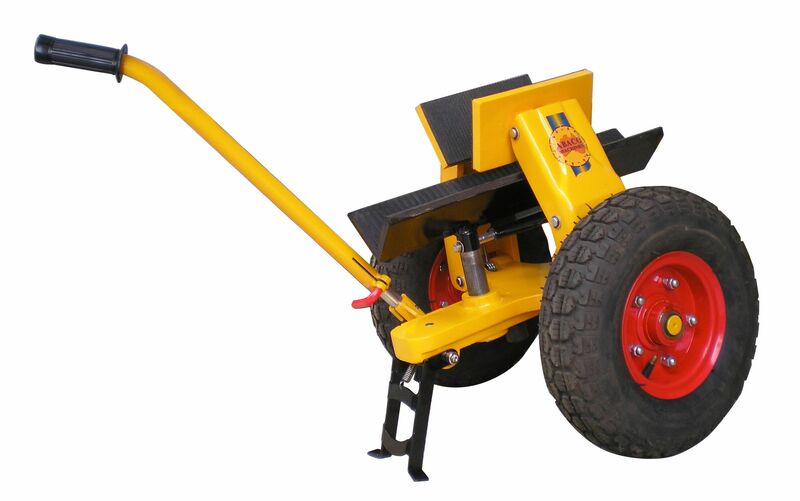 They are designed with self-locking jaws for maneuvering stone slabs around the shop, warehouse, or on the work site. The self-locking jaws' clamping strength is proportional to the weight of the slab, therefore the heavier the slab, the larger the clamping force.